« OpenLDAP password policy » is an overlay that allows you to set up an efficient management of the authentication accounts of people referenced in the OpenLDAP directory. This management concerns in particular the passwords of these persons. This article will show how to configure the OpenLDAP server to activate the« password policy » overlay and implement this management. Prerequisite: The article Adding data to the directory and its prerequisites are read. The OpenLDAP server is installed and the data of the article are entered. Notice the presence of the ppolicy schema in addition to the four schemas that are enabled by default. Notice the presence of the ppolicy module in the list, while default only back_mdb (database management module) is enabled. olcPPolicyDefault: Specifies a configuration DN used by default (see next paragraph). olcPPolicyHashCleartext: Indicates whether passwords should be encrypted systematically. Advise: This setting should be TRUE. olcPPolicyUseLockout: Indicates whether the error message returned when attempting to connect to a locked account is a message specific to that locked state (TRUE), or a general failed login message (FALSE). FALSE is more secure (no indication to a possible pirate), TRUE is more convenient. We will configure the entry specified in the olcPPolicyDefault parameter of the ppolicy overlay configuration, i.e. cn=ppolicy,dc=ldaptuto,dc=net. To do this we will create an LDIF file that will allow to add this entry. This command allows Alain Durand to log in with his username and password (-D uid=durand,ou=people,dc=ldaptuto,dc=net and -w durand) and change this password with the new value provided (-s dura). The command fails because the new password has only 4 characters. The old password is not accepted and the same command with the new password: duran, should succeed. Another setting: pwdCheckModule controls the quality of the contents of passwords. This setting specifies the file name of a native shared library that ensures this function. Before informing it, it will first be necessary to ensure that this library is present. pqChecker is a library that can be used to control passwords content strength for ppolicy overlay. To use it, you should modify the default password policy setting. Cette entrée a été publiée dans English, OpenLDAP tutorial, et marquée avec OpenLDAP password policy, openldap tutorial, le 09/09/2017 par Abdelhamid MEDDEB. In this article we will see how to use openldap server to protect access to a website. Protecting access mean allowing only a restricted set of people to read the content of this website. More concretely, each request for access to the website will be asked to enter an identifier and a password. Access is only allowed for people that are referenced in the LDAP directory. Prerequisites: The article Adding data to the directory and its prerequisites are read. Le serveur OpenLDAP est installé et les données des exemples de l’article sont entrées. Enter in the address bar of a web browser: http://localhost, then type Enter button. It should show a blank page with the subtitle OpenLDAP tutorial website. If this is not the case, check the default site configuration as the installation was probably changed after the web server was installed. If this isn’t the case, modiify and restart the server. The mod-ldap is an add-in for the web server apache2, it is installed but not enabled by default on Debian systems and compliant. If it is not installed, installationt must be done before any other action. AuthName "Enter login and password"
Notice the parameterized message that appears: « Enter login and password« . Enter the identifier (uid) of Jean Dupond (dupond) and a false password (different from dupond): access is denied. Enter the correct password (dupond), access should be allowed. If you have enabled the production of OpenLDAP server logs (see Enable OpenLDAP Logging), you can also control the interaction between the two servers by examining the log file. Cette entrée a été publiée dans English, OpenLDAP tutorial, et marquée avec openldap tutorial, using openldap, le 07/09/2017 par Abdelhamid MEDDEB. In this 6th article of the series «OpenLDAP Tutorial», we will feed the directory with useful data. This will make it possible to actually use the OpenLDAP server. The server administrator (rootDN) has sufficient rights to modify the configuration data. cf the articles Remotly configuration management by the administrator. Data types according the OpenLDAP is understood. cf. the article Organization and data types. 1. Creating a node for people. A directory must be organized. In an organization concern, we will first create a node (container) that will receive the directory entries of people. People is a name of your choice. The type of this new entry is organizationalUnit (OU), which is the usual type of container nodes in OpenLDAP. OpenLDAP is case insensitive and does not differentiate between uppercase and lowercase, People or people are equivalent. -a (to add) after ldapmodify means that you want to add the contents of the file. Notice that the password does not appear in plain text. however it is not encrypted. Now let’s look at what happens if Jean Dupond tries to connect to the directory and see the people referenced (among others himself). -D: DN of the user who authenticates, the request uses the read rights of this user. The result is an error message which means that the authenticationhas failed. However the data sent is correct (DN and password). The reason is an inadequate access right for authentication. We cannot address this sensitive and complex topic of rights here. We will just add a configuration that will allow directory users to authenticate. This command adds authentication (by anonymous auth) and read permission to all people in the directory (by users read). Of course, it is not advisable to use such a configuration in real use. It is used here only for simple demonstration. Now, a query to read the data of the people in the directory by Jean Dupond (same as the previous one) makes it possible to display them. Cette entrée a été publiée dans English, OpenLDAP tutorial, et marquée avec openldap data, openldap tutorial, le 06/09/2017 par Abdelhamid MEDDEB. In this 5th OpenLDAP tutorial, we’ll see how this directory server organizes its content. This is a necessary prerequisite to be able to put data to it. Once data is entered, the server will be ready for use. The main uses are: the authentication of users on the computer systems and the synchronization of data with these systems (e.g. email servers). 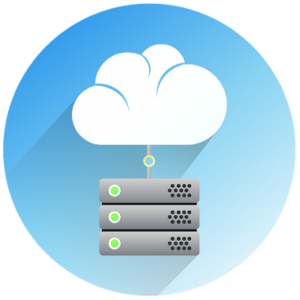 The advantage of using LDAP servers for these functions is that this protocol has become a wide used standard. It’s supported by the most computer systems and applications that have this need. A coming article will deal with data feeding. OpenlDAP is installed and preconfigured on a Debian, Ubuntu or compliant system. cf OpendLDAP installation and OpenLDAP reconfigure articles. Nodes: Special type data that has the ability to contain other data. Leaves: the data that can be of different types. – In blue, the nodes or folders in the file system. – In light blue and green, the data or files in the file system. 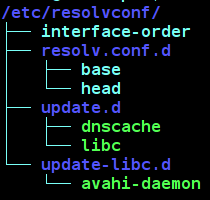 To unambiguously designate the dnscache file for example, we use the full path (full qualified name – FQN): /etc/resolvconf/update.d/dnscache. This is necessary because there may be another file, which has the same name, somewhere else on the disk. For an LDAP directory the equivalent of the FQN is the DN (distinguished name) and it is the complete path from the root (ie the DIT). There are a very large number of data types that can be used by the OpenLDAP server. In addition, these data types are scalable and constantly evolving. In practice it is advisable to choose a limited set of these types of data according to actual needs. To do this we must declare the schemas to be embedded in the configuration of the server. A scema is a description of the data types (metadata). The result is the one obtained just after the installation of an OpenLDAP server. These are the four embedded schema by default. They are sufficient for most basic uses of an LDAP directory. To get the full and actual contents of an OpenLDAP directory, you must run a search query in connected mode with the server administrator account (rootDN). This is the only account that is never subject to any access restrictions. The result is the one obtained just after installing an OpenLDAP server. Notice the values entered during the installation (or reconfiguration). cn=admin: the server administrator identifier. o=OpenLDAP tutorial: The organization label. dc=ldaptuto,dc=net: the DIT (domain name). The values of the objectClass attribute determines the nature (or type) of the entry. dc=ldaptuto, dc=net: has dcObject type, it is the special type that determines the root or DIT of the directory. This entry is the container for all data in this directory. cn=admin,dc=ldaptuto,dc=net: has simpleSecurityObject type, data that represents an authentication account. Mainly contains the password of this account. In upcoming articles we will see other types and will feed more the directory. Cette entrée a été publiée dans English, OpenLDAP tutorial, et marquée avec openldap organization, openldap tutorial, type de données ldap, le 04/09/2017 par Abdelhamid MEDDEB.